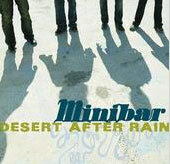 Minibar is an English band so enamored with classic California rock that the guys packed up and moved to sunny Los Angeles. It was a good move, because the band does its adopted country proud, serving up a smooth cocktail of roots-driven songs with rustic woefulness and solid, catchy hooks. The group's sophomore disc is coproduced by Rami Jaffee and Greg Richling of the Wallflowers (as well as Dusty Wakeman), and there's a bit of the Dylan-family rasp in frontman Simon Petty's delivery as he welcomes you into his world-weary, soulful style. There's nothing complex or hidden in the group's songs, so each guitar line, each simple drumbeat is there for a specific reason. And that's just enough to make Below the Radar rise above.